Facial recognition privacy talks: Why I walked out. Industry lobbying is shutting down Washington’s ability to protect consumer privacy. And it’s come a long way since this: A 3-D facial recognition program is demonstrated during the Biometrics 2004 exhibition and conference on Oct. 14, 2004, in London. June 2, 2015, was a great day for privacy. June 16 was not. On June 2, the Senate voted to pass the USA Freedom Act—an imperfect bill that is nonetheless the most significant reform to NSA surveillance in a generation. That night, President Obama signed it into law. Since early 2014 the Department of Commerce has sought to develop voluntary privacy rules for companies that use this technology. So for 16 months, consumer privacy advocates (including me) and industry representatives met in a low-lit, circular room two blocks from the White House, looking for a compromise. So we asked a narrower hypothetical: Suppose you’re walking down a public street—not private property—and a company you’ve never heard of would like to use facial recognition to identify you by name. We asked whether there were any trade groups or companies in the room that would agree that in this case, consent was necessary. The answer was unanimous: silence. The idea that companies don’t need permission before using facial recognition to identify you cannot be squared with consumer expectations. It also may be illegal under state law. What’s most remarkable about the industry lobbyists’ position, however, is that it contradicts industry’s own practices—at least those industries that have human beings as customers. The fact is, there is an established business standard in favor of consumer choice. So why did companies reject a voluntary rule to codify it? I believe it had to do with the fact that most of the industry representatives in the room didn’t work for companies. Most of them came from industry associations—entities that are financed by tech companies, advertisers, and retailers to lobby for their interests but are legally separate from their backers. Industry associations don’t feel the same consumer pressures as their member companies. If Facebook or Google or a major retailer violates its customers’ privacy or takes a position contrary to their interests, users might revolt, and its stock price might suffer. Industry associations feel no such pressures. What’s more, industry associations must cater to their members’ lowest common denominator. If an association is asked to support privacy standards that half its members meet and half do not, it will either oppose the rules or remain neutral. This is likely why NetChoice, an industry association that has both Google and Facebook as members—and non–consumer-facing companies that cater to law enforcement—opposed an opt-in privacy standard. The end result is a lobbying apparatus that is untethered from the realities of many of the businesses that it serves. You may have heard of “yes men.” In Washington we have “no men”: industry lobbyists whose primary purpose is to stop attempts to regulate their members’ products and services, and who have no product or brand that could be hurt by their efforts. The tech industry can increasingly afford a lot of no men. What happened in the facial recognition talks is not an isolated instance. Rather, it’s part of a broader pattern of industry lobbying that is shutting down Washington’s ability to protect consumer privacy. For decades Congress championed commercial privacy protections. Congress created the Federal Trade Commission. It passed privacy laws that applied to banks, cable companies, phone companies, Internet providers, hospitals, credit rating agencies, schools, video companies, telemarketers, and online companies targeting children. Then, after updating the federal health privacy law in 2009—it essentially stopped. Aside from passing a 2011 law that narrowed the federal video privacy law, Congress hasn’t passed a single consumer privacy law since 2009. Let me be clear: I don’t think that in the absence of industry lobbying, there would be a flood of new consumer privacy laws, or that Congress would pass comprehensive consumer privacy legislation. There are legitimate industry concerns with many privacy proposals. I’m saying that industry lobbying has blocked even the most measured and reasonable privacy bills—like former Sen. Jay Rockefeller’s bill to rein in so-called data brokers, private companies that sell lists of people, by name, who are struggling financially, who are HIV-positive, or who are victims of sexual assault. This impasse has profound consequences. Think for a moment of all of the privacy and security controversies that have happened since 2009. Here are just a few: Google Buzz; Apple’s “Locationgate”; the circumvention of Safari privacy settings; breaches at Target, Home Depot, TD Bank, and Anthem; the Heartbleed bug; Uber. Then, think of all of the technologies that are blossoming today but were little-known six years ago: wearables that track your fitness and medical conditions; connected in-home devices like Nest thermostats and smart refrigerators; and, yes, facial recognition. Technically speaking, these gadgets and services are all different things. In terms of privacy, they are the same thing: They digitize what was once your offline life; all of them have blossomed after 2009; and as a result, all of them are almost entirely unregulated. I think that we are witnessing the creation of a Loophole of Things—a legal atmosphere in which the digital facts of our physical lives are subject to startlingly few privacy protections. 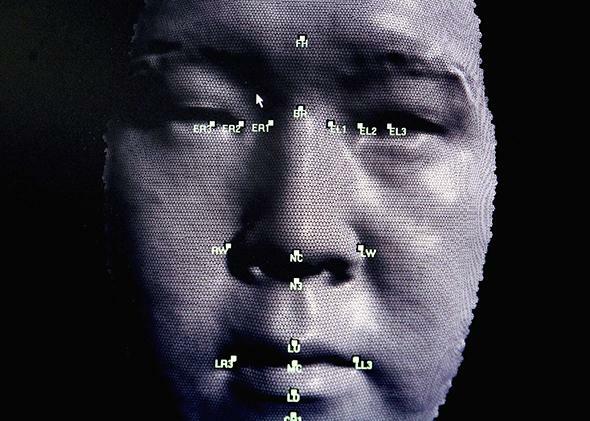 As of June 16, facial recognition is squarely within its ambit. Our privacy rights against companies have always been at a disadvantage compared with our privacy rights against the government. Thanks to the Fourth Amendment, both Congress and federal courts can check government surveillance. But the Fourth Amendment doesn’t apply to private companies. As far as the Constitution is concerned, Congress is the only entity that can protect you from the excesses of Silicon Valley; federal courts will get involved only if Congress has passed a law telling them to do so. Industry lobbying deepens this divide. NSA revelations cost American companies billions in lost business and reputation, so industry bet big on surveillance reform—and won. Meanwhile, industry lobbyists quash efforts to update and expand consumer privacy protections. This widening divide explains the simultaneous success of the USA Freedom Act and failure of facial recognition negotiations. It also helps create a Loophole of Things. There is hope—in state government. While Congress may have passed zero new consumer privacy laws since 2009, the state of California alone passed more than two dozen. California is not alone. More and more, it’s state legislators and state attorneys general who are taking the lead in creating and enforcing cutting-edge consumer privacy protections. People who care about their privacy would do well to reorient their efforts away from Washington, and toward their state capitols.